I was in the market for a while for a Jeep Wrangler & all my experiences in other dealers were terrible. Pushy & temperamental. I came here just to have a “look” and found myself with Edmund. Suuuuper nice & very patient. Definitely made the whole car buying experience a breeze. Thank you very much for your help! CJ was such a big help in helping me find my next car! Couldn’t have been more pleased with my visit at St. Charles Jeep! Highly recommend! CJ was such a big help in helping me find my next car! 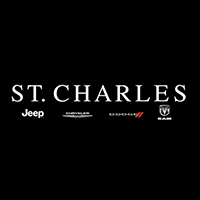 Couldn't have been more pleased with my visit at st. Charles Jeep! Highly recommend! Awsome dealer!! best car buying experience yet for me.Look for pranav he was open blunt and to the point .Painless experience easy negitiation and pranav was awsome helping me custom order my ram 1500.The order usually takes 6 to 8 weeks and st charled dodge had my car delivered in 4 weeks .Thank you guys. Had a salesman by the name of CJ, he was good to deal with. Got a great deal on a certified pre-owned Chrysler. I was given a fair offer on my trade. I would have given 5 stars but took forever to get put through to the finance department. I recommend talking to Cruz if you are thinking of buying a new car, or even a used one. One conversation with him and he was able to recommend the car that I ended up buying!! He is very knowledgeable and helpful and made the whole process alittle less daunting!! Great experience i love my new car and the service i got was excellent.